Distended mesenteric artery. 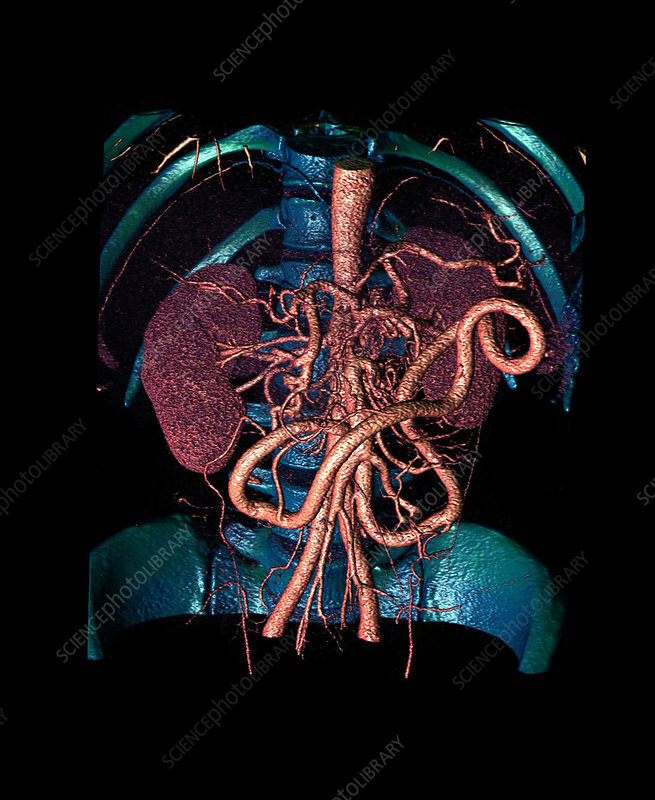 Computed tomography (CT) scan of a human abdomen, showing an enlargement (swelling) of one of the mesenteric arteries. These arteries supply the intestines with blood. An aneurysm or similar swelling is a weakening of the walls of a blood vessel. It untreated, it can lead to rupture. Treatment will be need of the underlying cause, and surgery may be needed to repair the blood vessel.